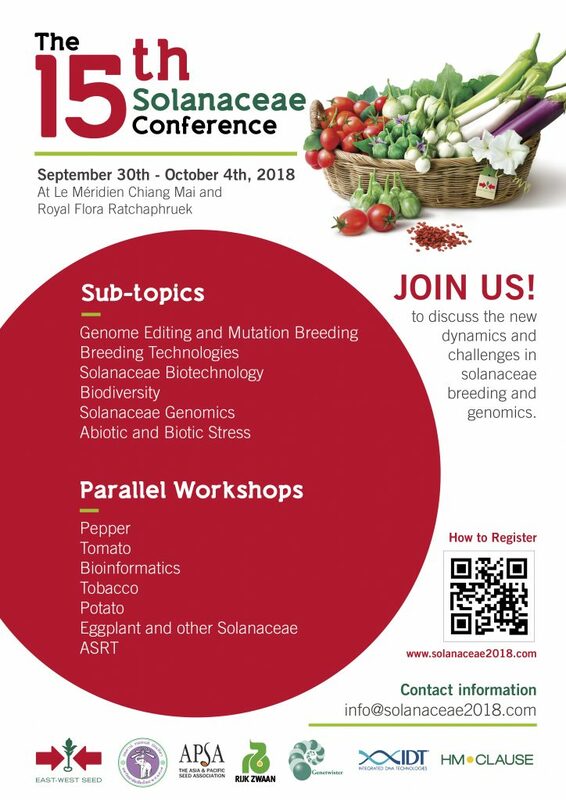 BANGKOK: APSA is pleased to join with East-West Seed Group and the Faculty of Agriculture of Chiang Mai University to co-organize the 15th Solanaceae Conference (SOL 2018), set to be held from 30 September to 4 October in Chiang Mai, Thailand. At press time, 38 speakers had been confirmed for the event (see latest program here). Inaugurated in Naples, Florida, USA in 2002, the Solanaceae Conference is the world’s premier research event that focuses on breeding and genomics trends and challenges with respect to the Solanaceae crop family, which includes everything from tomato and pepper to eggplant, potato and even tobacco.